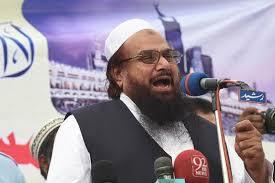 New Delhi(PTI): A leading intergovernmental financial watchdog has slammed Pakistan for continued complicity in financing terrorist entities, saying certain UN-designated terror groups in the country receive money due to lack of control by the authorities. At its meeting in Spain’s Valencia, the Financial Action Task Force (FATF), a Paris-based organisation which sets standards for banks globally, closely scrutinised Pakistan’s record on terror financing. A report on Pakistan’s complicity in terror financing was discussed at the FATF Plenary, the group’s highest decision- making body, that took place from June 18-23. As per the report, certain entities designated under UN Security Council Resolution 1267 continue to receive and disperse funds without controls being applied by the competent authorities in Pakistan. As a consequence, the International Cooperation Review Group (ICRG) of FATF has requested its regional arm Asia Pacific Group (APG) to provide the revised follow-up report on Pakistan. The ICRG asked APG to provide the report following the discussion over it at the APG annual meeting in July 2017. In February, the ICRG had requested the APG to provide its analysis report on Pakistan. “Given the concerns raised in this report that highlighted that there continue to be certain UNSCR 1267 designated entities that receive and disperse funds without controls being applied by the competent authorities, the ICRG recommends further reporting to the ICRG be provided either by the APG or, failing that, directly from Pakistan,” the report on Pakistan said. If the APG plenary decides not to provide the report, the ICRG granted permission to the ICRG co-chairs to request in August for Pakistan to comprehensively report directly to the ICRG in September on updates regarding Pakistan’s implementation of the UNSCR 1267 with respect to designated entities of concern, the report said. The FATF was established in 1989 to set standards and promote effective implementation of legal, regulatory and operational measures for combating money laundering, terrorist financing and combat other related threats to the international financial system. It has developed a series of recommendations that are recognised as the international standard for combating money laundering and the financing of terrorism. “When Pakistan reported back on this matter, some ICRG members expressed a concern that these issues still had not been resolved. “Consequently, the ICRG had referred the issue of Pakistan’s implementation of UNSCR 1267 with respect to designated entities of concern to the APG for ongoing monitoring,” as per the report discussed at Valencia.